My business, A Change of Space, specializes in both Staging and Redesign and I am frequently asked what the difference is. I can see how it can be confusing. Both involve making a house more beautiful. The difference is who it’s for. With Interior Design/Redesign, a unique and customized home is created focused on the client’s vision. It is an environment full of personal touches, a reflection of the people who live there. It can have many layers, and every design decision must be approved by the client, since the ultimate goal is the enhanced quality of life of the occupants. 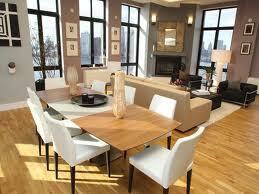 Staging is the professional merchandising/packaging of your home for a targeted buyer’s market. It influences prospective buyers by showing a certain lifestyle, creating a memorable impression, and evoking a positive emotional response. It showcases a home’s best architectural features and focuses on improving a property’s value. A staged home is the silent sales person that has a buyer thinking, ”Wow, I’d love to live here!”. Usually a staged home only has enough furnishings and accessories to create vignettes that show people how to live in a home, and the design choices are made by the staging expert. Staging does not create the home of your dreams…it is the house of a buyer’s dream!